Note: this is the final guest blog in a series of four designed to share learning with the greater Sarasota nonprofit community about development of an earned income business plan. On March 20th, 2014, a “who’s who” of more than 60 influential investors, funders, business, and nonprofit leaders gathered in Sarasota for the community’s first-ever Earned Income Business Plan FAST PITCH. 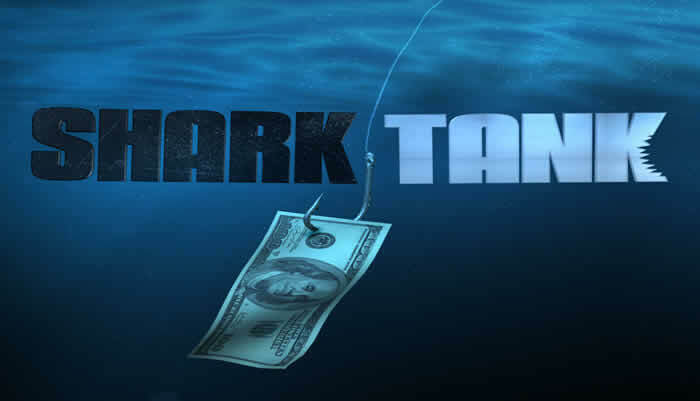 Likened to a kinder, gentler version of the popular reality television series Shark Tank, it featured four 15-minute business pitches to an audience of potential investors by nonprofit entrepreneurs from the FAST FOUR, a group comprised of Easter Seals Southwest Florida, Meals on Wheels Plus of Manatee, SCOPE, and Southeastern Guide Dogs. Renaissance on 9th…a catering venue benefiting the mission of Meals on Wheels Plus of Manatee. Cocuro…an electronic toy for children with autism benefiting the mission of Easter Seals Southwest Florida. Raise and Train Your Puppy Like the Expert…an instructional book benefiting the mission of Southeastern Guide Dogs. Customized Data Analysis, Reporting, Consultation…community information as a tool for nonprofits seeking to improve quality of life, ultimately benefiting the mission of SCOPE. Share highlights of their earned income business plans in presentations to an audience of interested investors, funders, and leaders. Receive constructive feedback as part of the process to refine, improve, and finalize their business plan and pitch. Celebrate the fruits of their labor following several months of hard work. Begin the transition from business plan development to implementation. PREPARATION: Glean what’s most important from the detailed business plan. Every team started from a detailed 75-page written business plan…then culled key highlights for their 15-minute FAST PITCH presentation. Since the FAST PITCH was geared largely to funders and investors, consideration was given to delivering information that would be most pertinent to them…for example, what do they need to know vs. what might they like to know. What is the offering…how is it connected to the mission…what is the need…who will purchase it…how much will it cost…who are the competitors…how will it be promoted…how will it be sold…what are projected revenues, expenses, profit / loss…what is the “’ask”…what’s in it for everyone. To effectively tell the story of the business plan, a PowerPoint presentation of 12-15 slides was assembled…content was key…brevity was important…pictures were encouraged. With an audience of investors and business leaders, it was essential for team members to have a clear understanding of their business plan details…especially the financials. Teams were encouraged to role-play as an effective way to anticipate the tough questions and be prepared to answer them. As with any presentation, the need to practice, practice, practice…and then practice some more was emphasized. DELIVERING THE PITCH: Be clear, concise, engaging, and watch the clock. General guidelines were provided for the pitch, but there was no formula for delivering it…each team brought their own unique spin and personality to their presentation. It was suggested that each team assign a small group of presenters (2 was the norm) to share in the presentation and storytelling. To bring their pitch to life, teams were encouraged to tell their story with passion, enthusiasm, a sense of humor, and to engage the audience by talking with them, not to them. A reminder was shared for presenters to minimize their reliance on PowerPoint slides as a crutch. With timed presentations of 15 minutes, we frequently reiterated the need to properly pace each pitch. Even with warnings at the “5-minute” and “2-minute” marks, some presenters found themselves racing at the end. SAMPLE YOUR OFFERING: Let your audience see, feel, touch, and experience it. Renaissance on 9th sampled an assortment of signature desserts for the audience to see and taste their offering…and distributed referral cards and coupons to encourage trial. Easter Seals of Southwest Florida shared their Cocuro product prototype to demonstrate its unique electronic features and show its distinctive design. Note: as is frequently the case with newly produced prototypes, there were a few glitches during this demo, which resulted in too much time being spent on this part of the presentation. Southeastern Guide Dogs prominently displayed a copy of their book on every table, and gave them away to audience members at the end of the session. SCOPE shared examples of their customized data reports that had been tailored to the audience…and distributed a handout to promote their new offering. MAKING THE ASK: Should it be big or small, subtle or direct, beginning or end? Each team incorporated an “ask” into their pitch…3 requested startup funds, 1 requested assistance to “spread the word” to grow awareness, visibility, and referrals. The size of the “ask” varied from team to team, ranging from $10,000 to $100,000…to cover a variety of startup costs including items such as marketing, software, and operational expenses. The 4 teams were coached to position their “ask” near the end of their pitch in recognition of the softer, gentler, nonprofit approach. In retrospect, based on feedback from the audience, there was a strong desire for the “ask” to be positioned overtly at the beginning of the pitch, similar to the Shark Tank approach. Providing sound rationale for the “ask” was a must…including a clear statement of “what’s in it” for potential investors. HANDLING THE Q & A: Listen, listen, listen, then give a thoughtful response. The Q&A sessions were active, to say the least. With 60+ engaged and interested audience participants, there were numerous rapid-fire comments, questions, challenges, compliments, and suggestions for each team. As a matter of practice, the teams were advised that if they didn’t know the answer, not to make one up. It’s ok to say “That’s a really good question, we’ll get back to you”. One participant pointed out that in 2 presentations, it was difficult to quickly link the earned income offering to the mission of the organization. As a nonprofit, it’s imperative this be easily understood without a great deal of explanation. One outspoken audience member strongly suggested to all the teams that they should make their “ask” upfront so it’s clear from the beginning what they want. A question about the role of product evaluation and testing came up as an important consideration for 1 team…and whether research outcomes would influence a “go / no-go” decision to launch the offering in the marketplace. Immediately following the FAST PITCH, everyone had an opportunity to continue the conversation over lunch, courtesy of The Patterson Foundation. For those who made a point to connect with interested audience participants, the result was an opportunity for more dialogue…with the potential for exploring an investment or some other form of support. 1 team announced they would follow up with an invitation to a community event introducing their product offering, and planned to send an e-invite to all who attended the FAST PITCH via assistance from The Patterson Foundation. Within a day of the FAST PITCH, at least two potential investors sent follow-up notes to 1 team to congratulate them on their presentation and express interest in their earned income venture. With the FAST PITCH complete, each team is in the process of making final revisions to their business plan and pitch…3 of 4 are seeking Board approval to begin implementation…and all are scheduling further meetings with investors to seek needed startup funding.